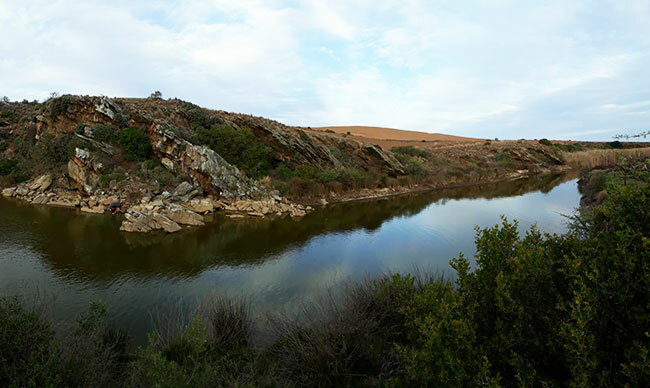 Something unexpected happened when our team of Renosterveld vegetation experts started looking at watercourses. 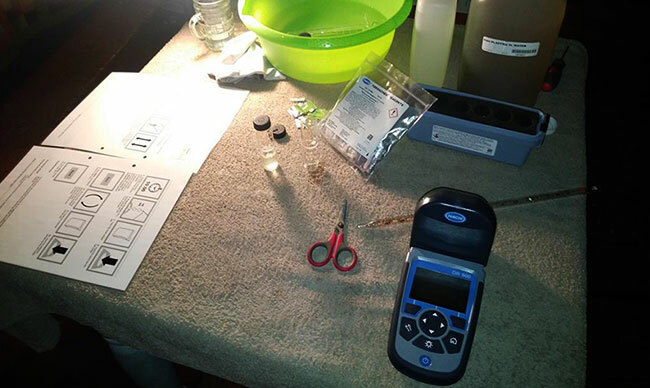 They found critically endangered indigenous fish species in small, non-perennial streams and rivers. 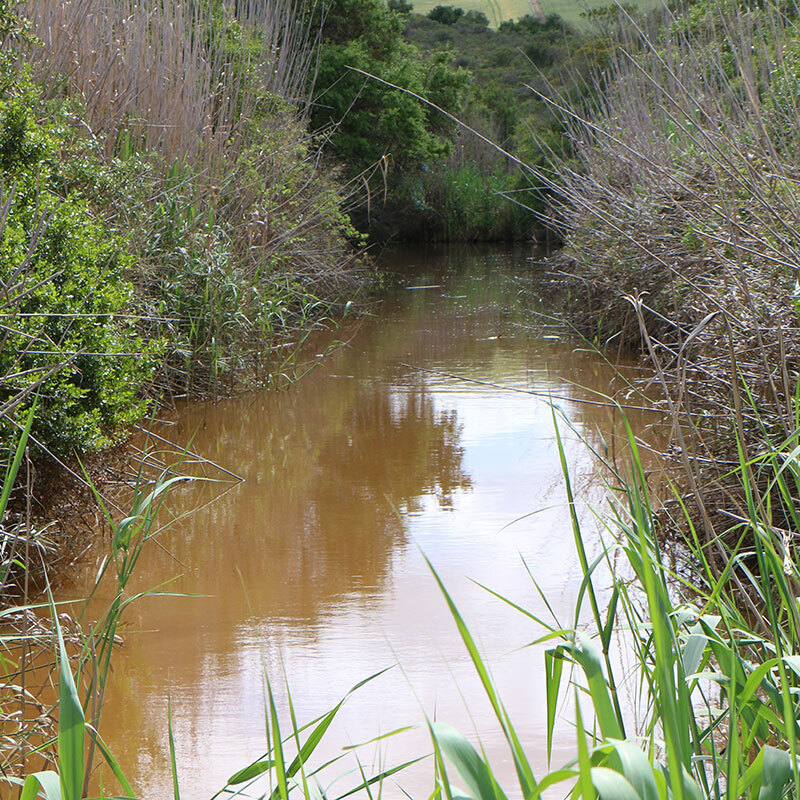 In particular, they found the Heuningnes redfin minnow living in Renosterveld watercourses that seemed unsuitable for indigenous fish. 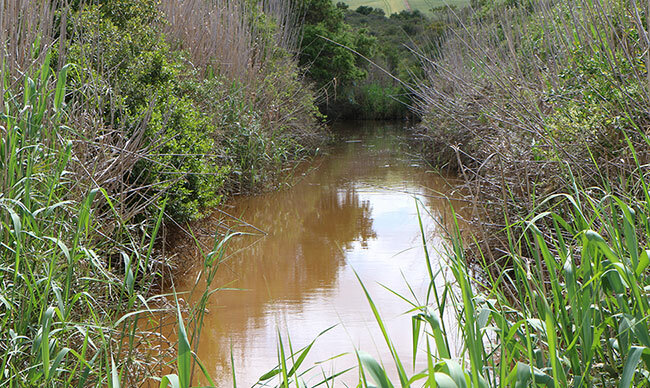 The ORCT has now partnered with organisations such as the Fresh Water Research Centre, CapeNature and Bionerds to better understand the Heuningnes redfin – and how it survives in these pockets of water. The small redfin (its fin is literally a bright red colour) not only survives in these tributaries to the Kars River and the Nuwejaars River – it seems to thrive in muddy waters with high pH levels and with a high salt content. Fish like the Spotted bass, Mirror carp and Bluegill sunfish were introduced to our rivers in the 1920s and 30s. They outcompete – and eat – the indigenous fish, including the Cape kurper and the Galaxias. This form of agriculture includes minimum or no till and crop rotation, to encourage healthy soils. The design of agricultural lands also matters. Keir says lands must have a buffer between the crops and the rivers, to capture the sediment that carries pesticides and other chemicals, before they end up in the rivers. 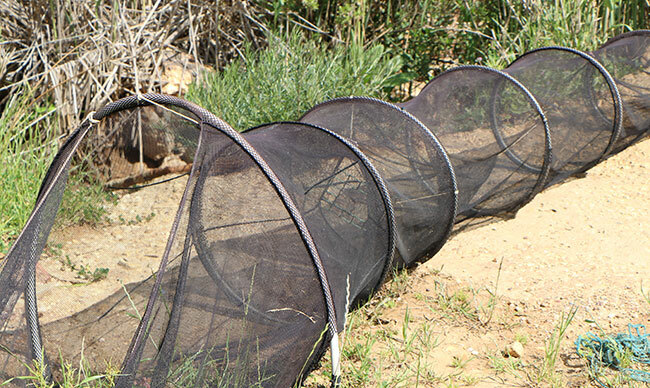 And how these indigenous fish survive, even when their streams dry up? 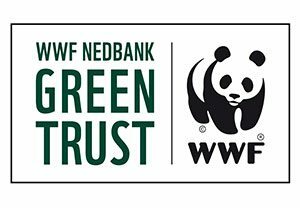 The ORCT Watercourse Restoration Project is funded by the WWF Nedbank Green Trust.